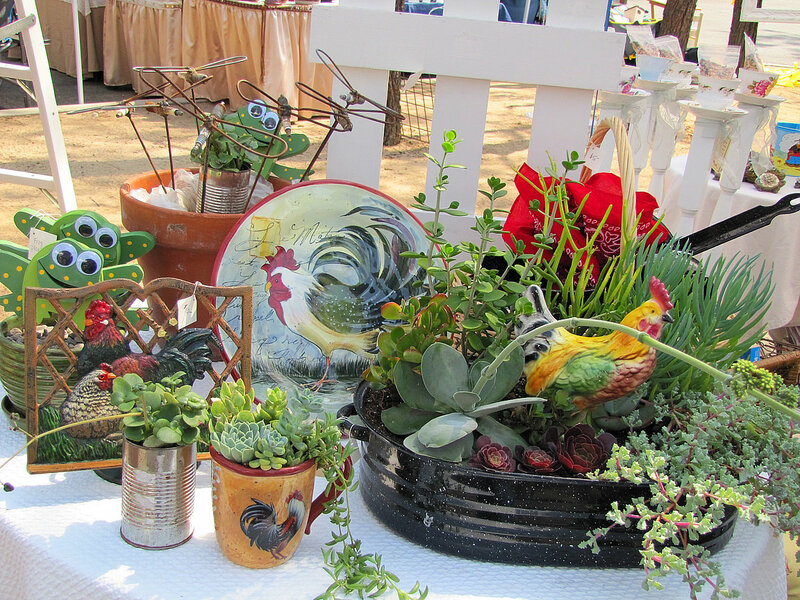 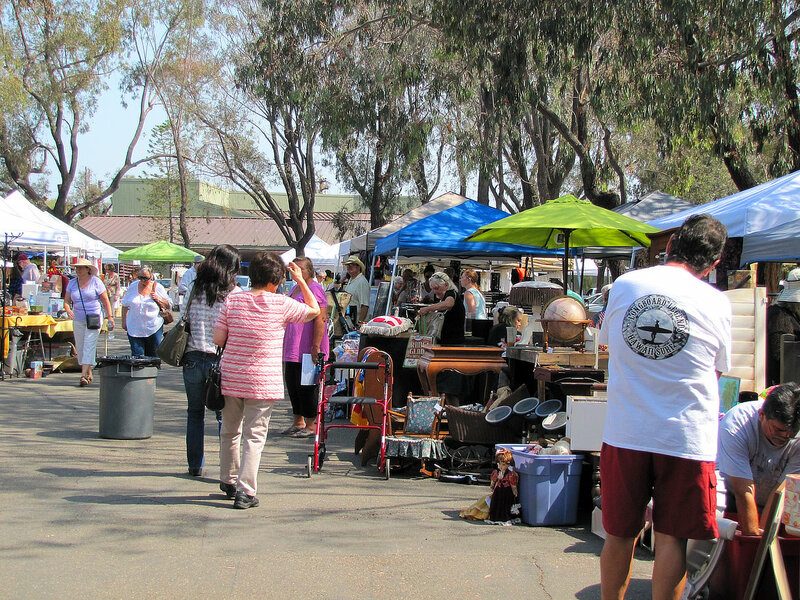 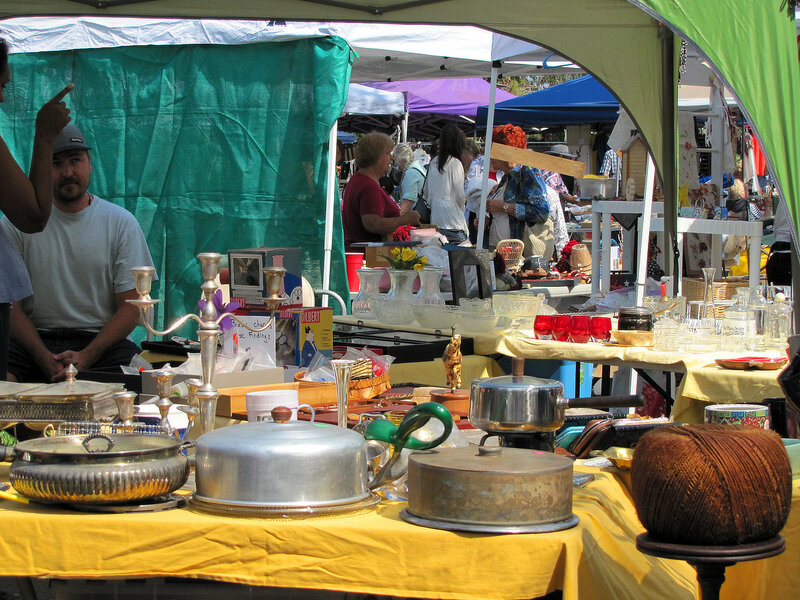 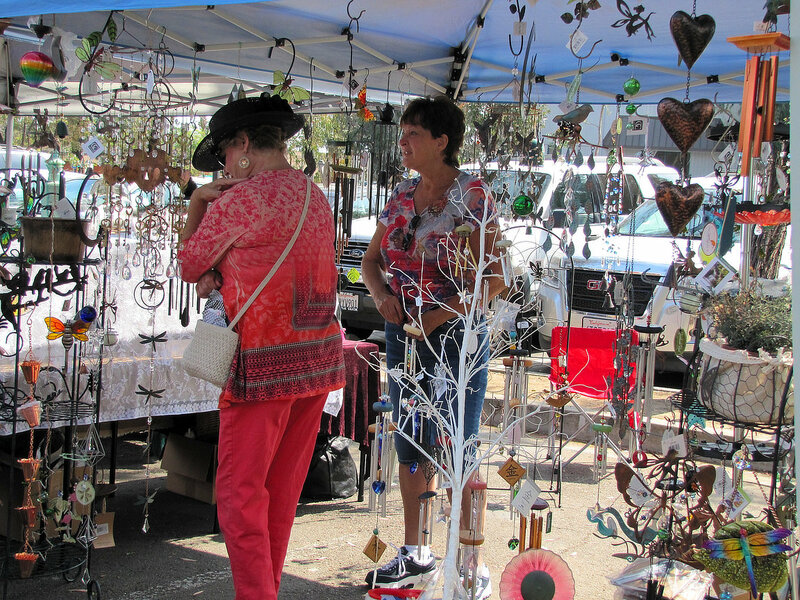 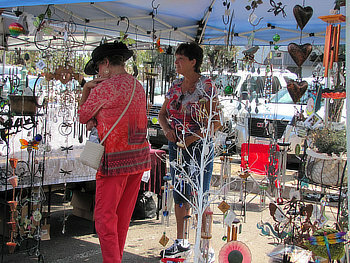 Held twice a year, the Peddler's Market is primarily a huge garage sale. 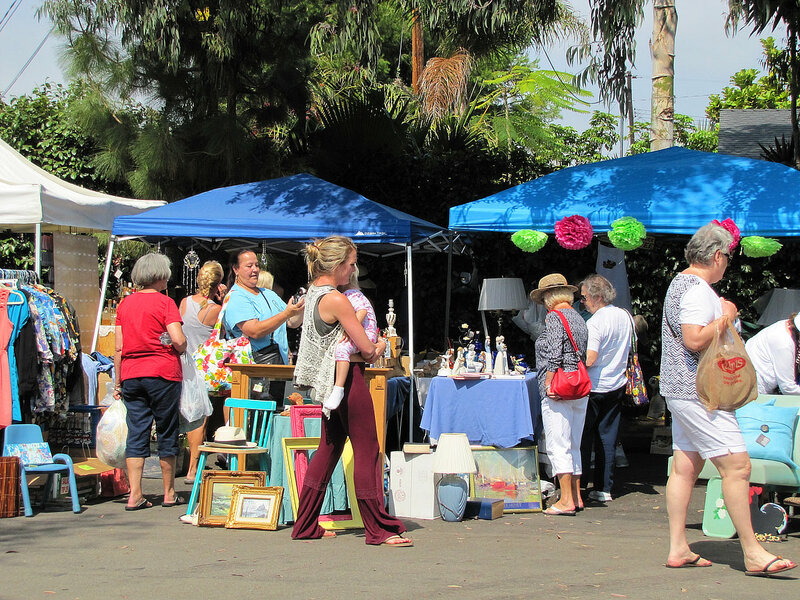 We fill the Piecemakers Country Store parking lot with 70 booths of great used treasures "waiting" for new owners, as well as antiques and collectibles. 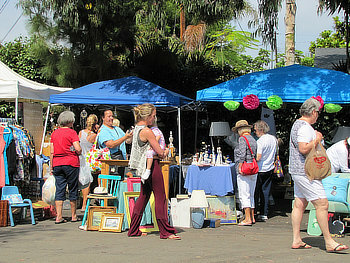 Everyone comes to buy, sell or visit. Admission and parking are free. 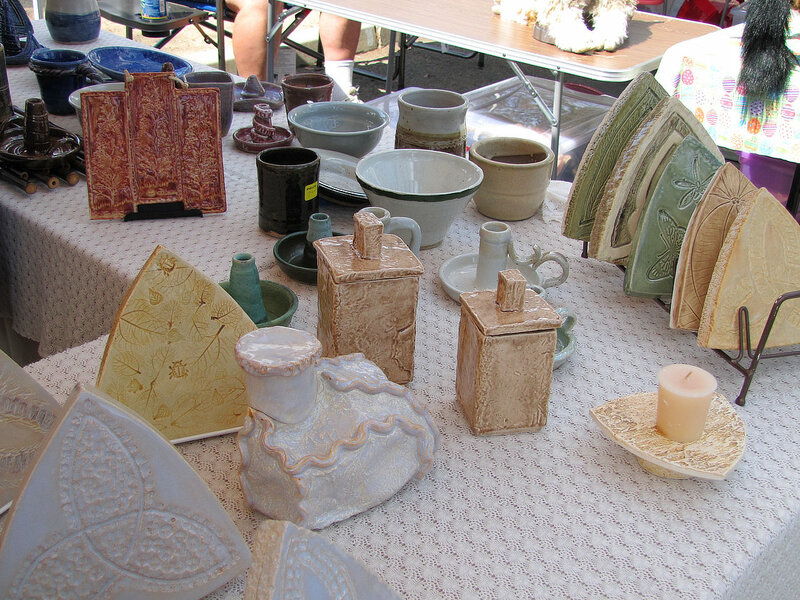 August 17th, Saturday, 8:00 a.m. to 3:00 p.m. 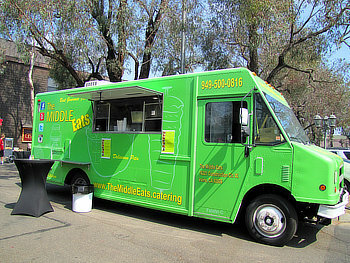 Delicious Mediterranean food from "Middle Eats". 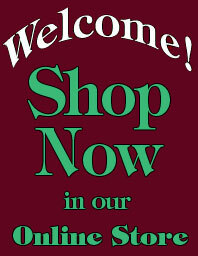 Handcrafted wire creations for home and garden. Lots of shoppers with lots of shopping to do! 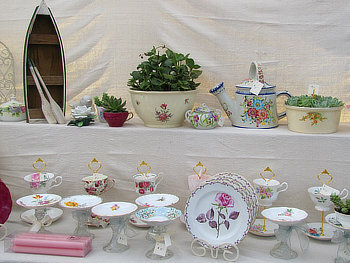 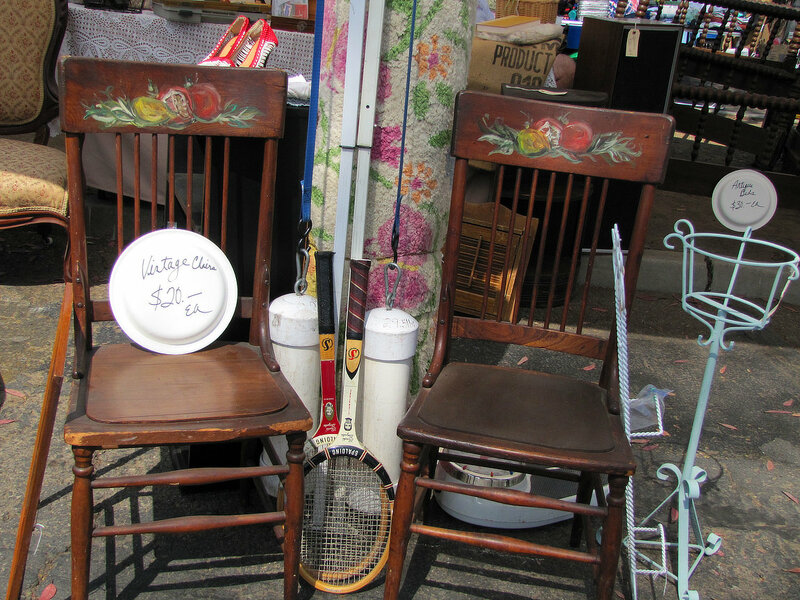 Antique and collectible wares for kitchen and dining. 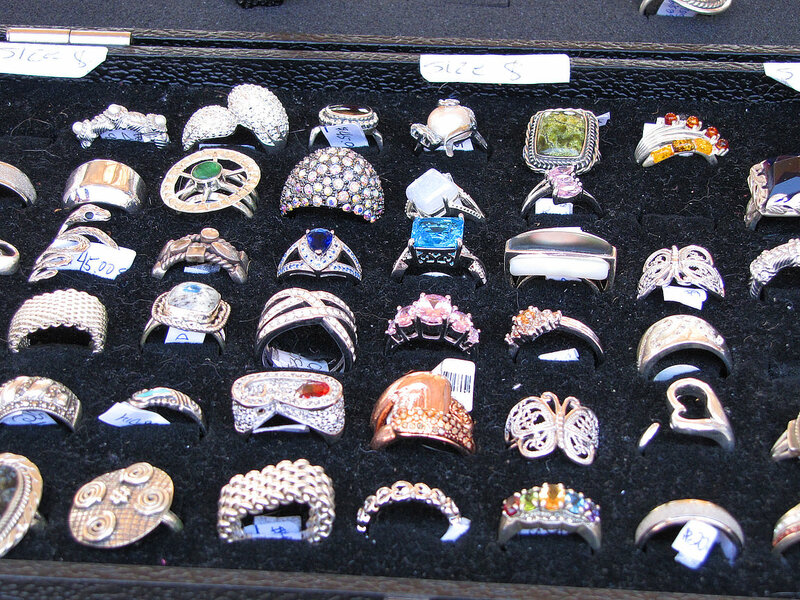 Rings for your fingers in all styles and sizes. 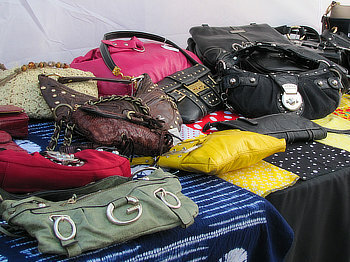 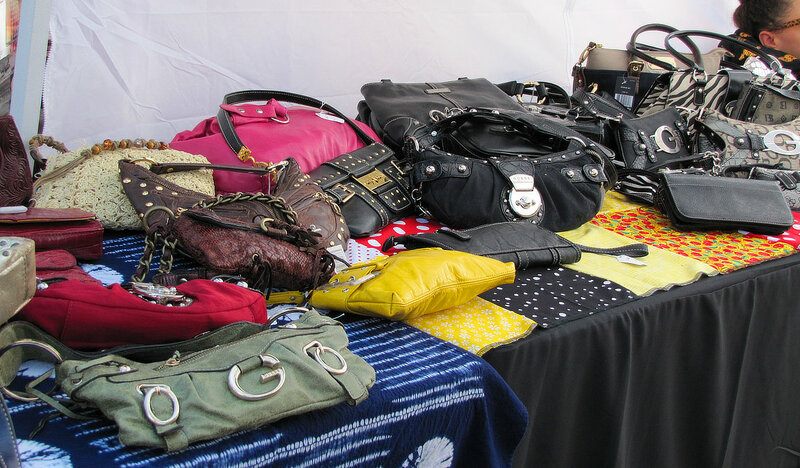 Purses in every shape and size. Antique chairs with hand painted motifs. 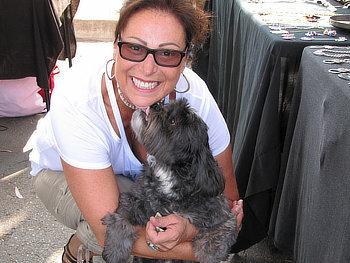 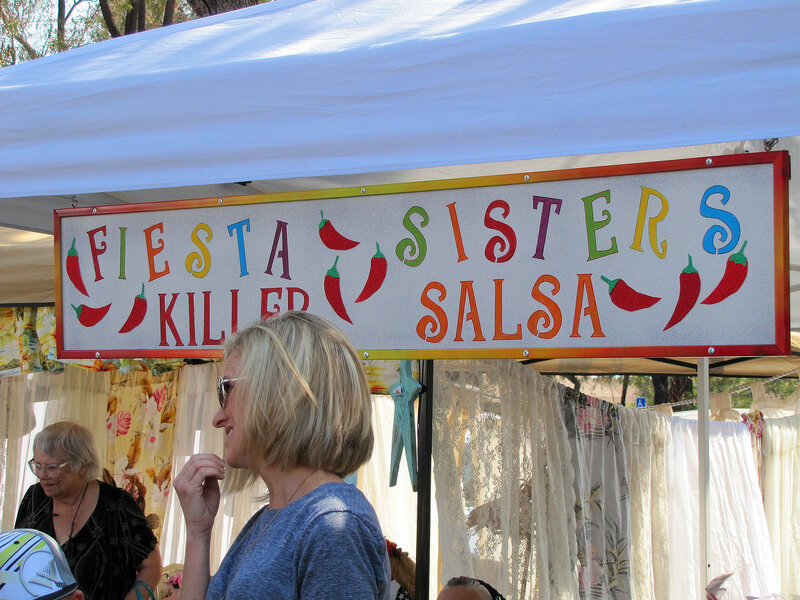 A vendor with her "best friend". 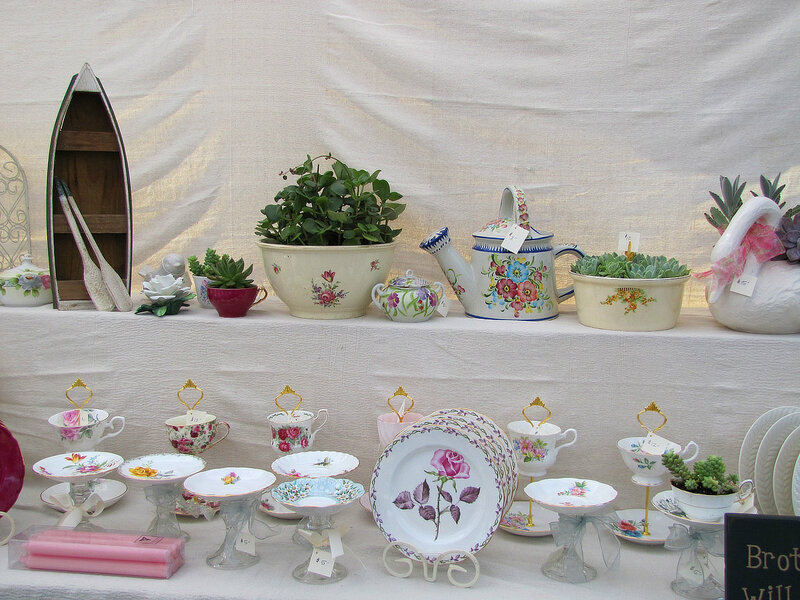 Artistic recycling of fine china and crystal. 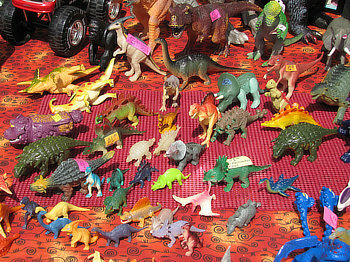 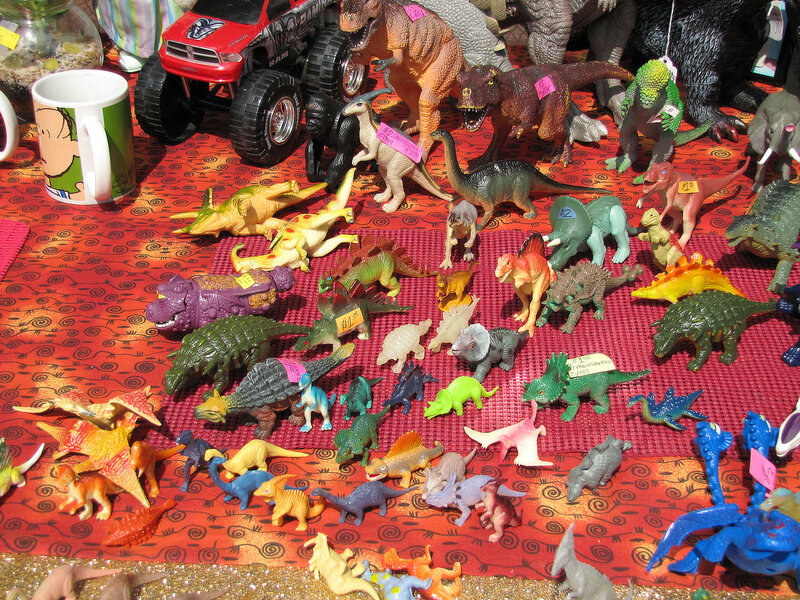 Every breed of dinosaur to add to your collection. 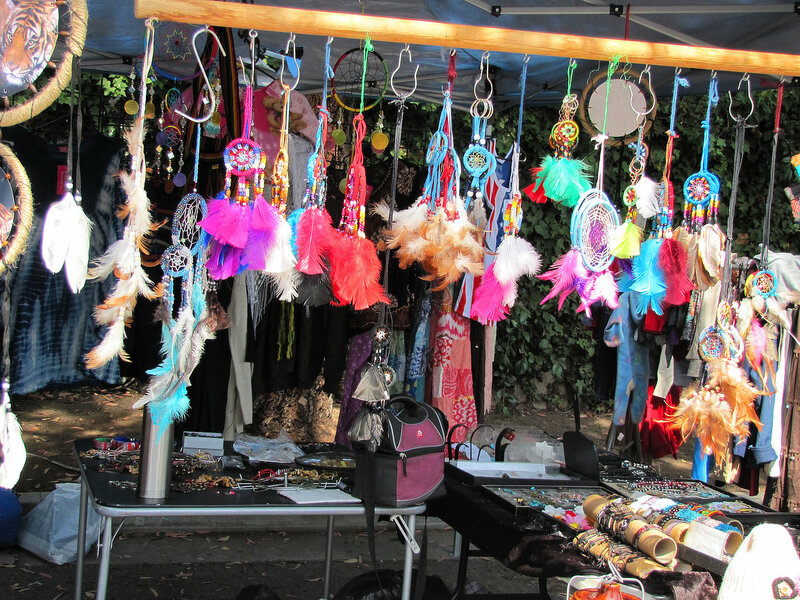 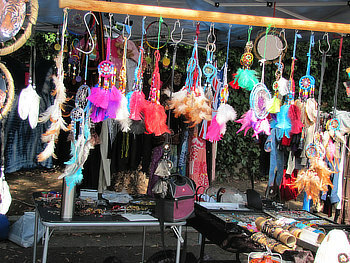 Handcrafted dreamcatchers, large and small. 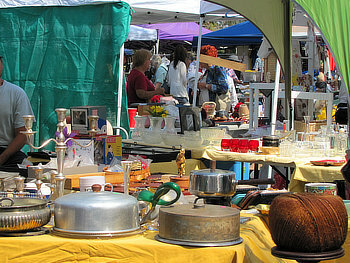 More shoppers busy with treasure hunting. 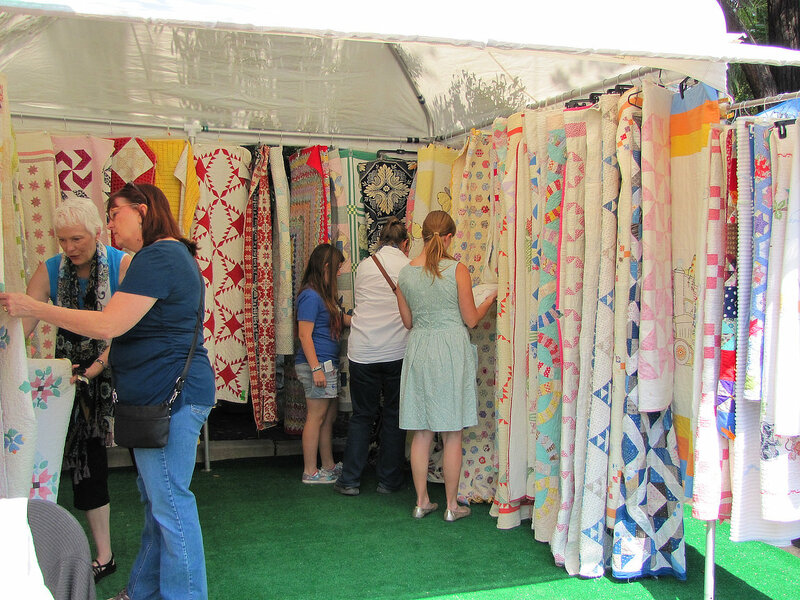 Beautiful handmade quilts in all colors. Anything can become a pot for a plant! 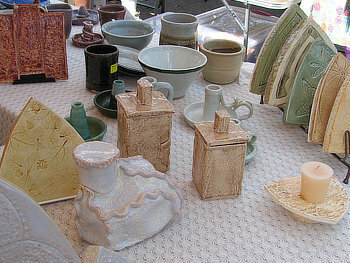 Handcrafted ceramic pieces for practical use. 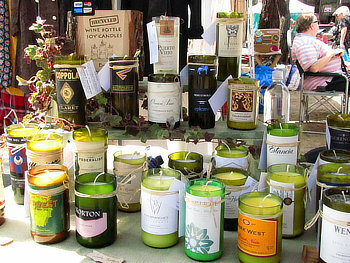 Soy candles in recycled wine bottles. 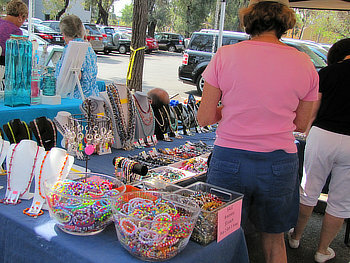 Colorful beads to wear or use for jewelry making.